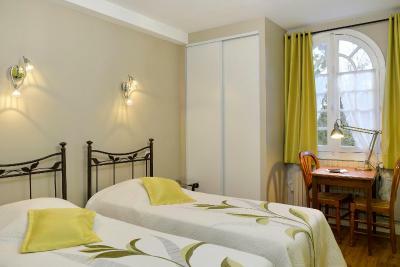 Lock in a great price for Logis Manoir De La Giraudière – rated 8.5 by recent guests! Plenty of information about details of surrounding attractions. Pleasant location. 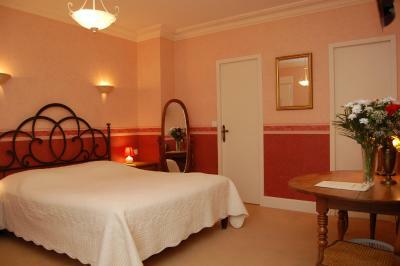 Lovely hotel within a few minutes of the pretty town. The owner is very helpful, and truly charming. He even drove us into town when our taxi failed to show up! The property is lovely, the courtyard is wonderful. The food at the restaurant was average. We appreciated having a place to store our bicycles. Very comfortable, restful and quiet. The restaurant service and food were great. Parking could not have been better. 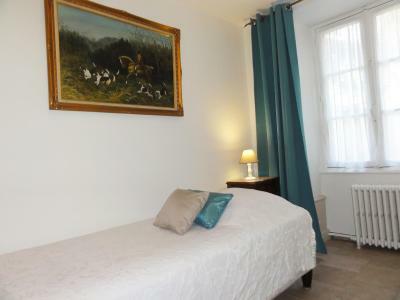 A charming property set in lovely grounds. Staff were lovely and both dinner and breakfast were delicious. the chef/owner took time to talk with us after our meal. 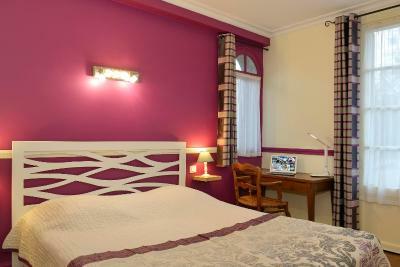 Our room was spacious and beautifully furnished with traditional items. Staff were attentive and nothing too much trouble. A good chef and goof choice at breakfast. Lovely gardens. A convenient location for visiting the chateaux. Excellent welcome, lovely peaceful surroundings...best evening meal in a week in France. Breakfast also very ample with good quality products. The breakfast had a large choice and was very enjoyable. Staff were very friendly and helpful. 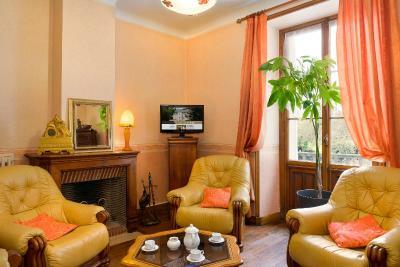 Location excellent - close to beautiful Chinon and Montsoreau. Room was very nice and clean. Excellent breakfast. Restaurant was fully booked but other guests said how fantastic the food was. Very relaxing, a gem of a place. We hope to return. Located in the village of Beaumont-en-Véron, Logis Manoir De La Giraudière dates from the 17th century. 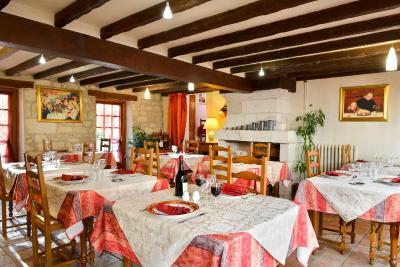 It offers a traditional French restaurant and accommodations with free Wi-Fi and private bathrooms. 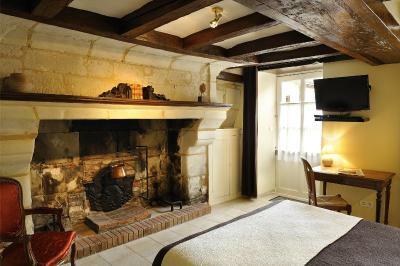 The guest rooms have period furniture and some have a fireplace. 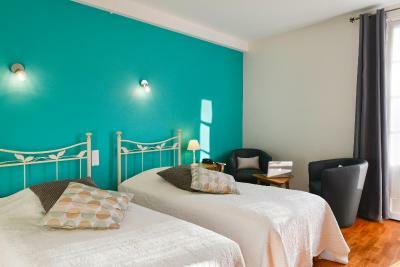 All rooms have a flat-screen TV with Canal+, beIN sports and several international channels. 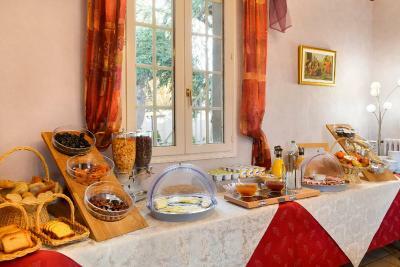 A buffet breakfast is served every morning at Logis Manoir De La Giraudière. The hotel’s restaurant serves light evening meals which can be enjoyed on the terrace in warmer months. Popular outdoor activities in the area include hiking and cycling. 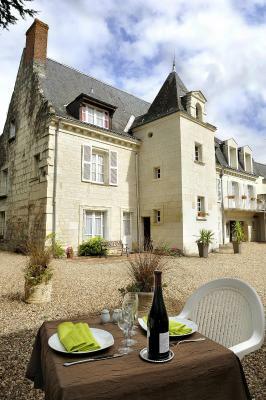 Chateau de Chinon is 3.4 mi from the hotel. 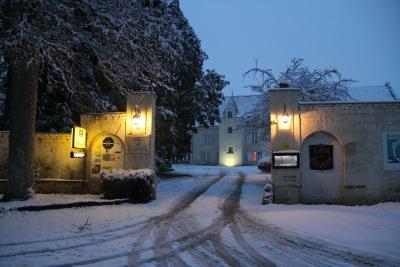 The A85 motorway is 5.6 mi from Logis Manoir De La Giraudière and there is free public parking on site. 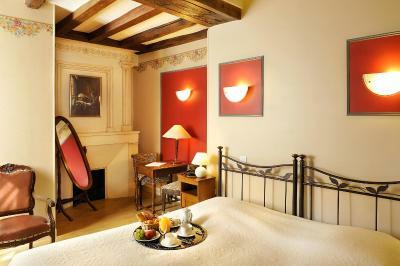 When would you like to stay at Logis Manoir De La Giraudière? 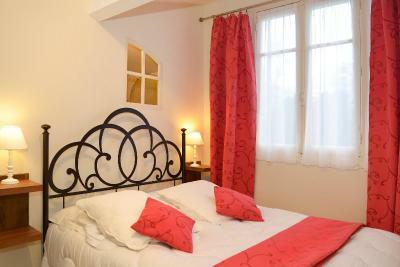 This room is decorated with period furniture and has free Wi-Fi access and a flat-screen TV with Canal+ channels. This double room has satellite TV. 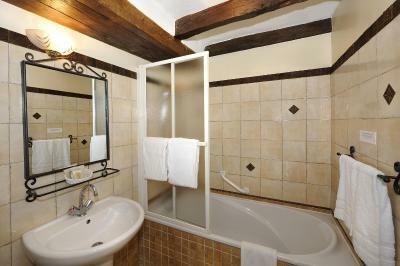 It also has a private bathroom. This family room has a microwave, oven and stovetop. 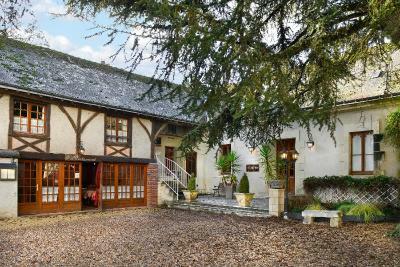 House Rules Logis Manoir De La Giraudière takes special requests – add in the next step! 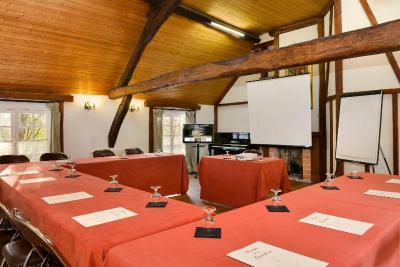 Logis Manoir De La Giraudière accepts these cards and reserves the right to temporarily hold an amount prior to arrival. 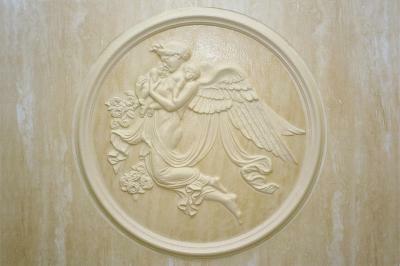 Please note that baby cots are available upon request at the time of booking, and are subject to availability. Guests wishing to dine in the restaurant are advised to reserve in advance. It was one of the few meals we ate during our stay in France that we did not really enjoy. 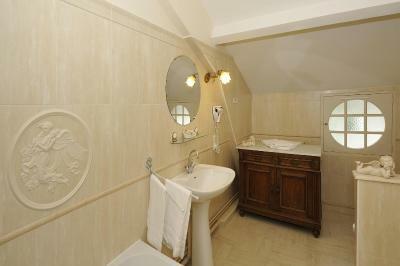 The room we had (in the tower section) was very small, and was in desperate need of modernisation. Paint was flaking off the single glazed window frame, and there was mould in the grouting of the shower. The room was very dark. The main thing to note (before booking!) is that the restaurant is closed on Sunday, and several restaurants are closed in the area too, which means having to travel to find somewhere to eat on a Sunday evening. Would have liked coffee and tea making facilities in room but few French places have them. Restaurant closed for a couple of days. Friendly staff and an excellent breakfast. Would have liked a shower rather than a bath or at least the option to choose. 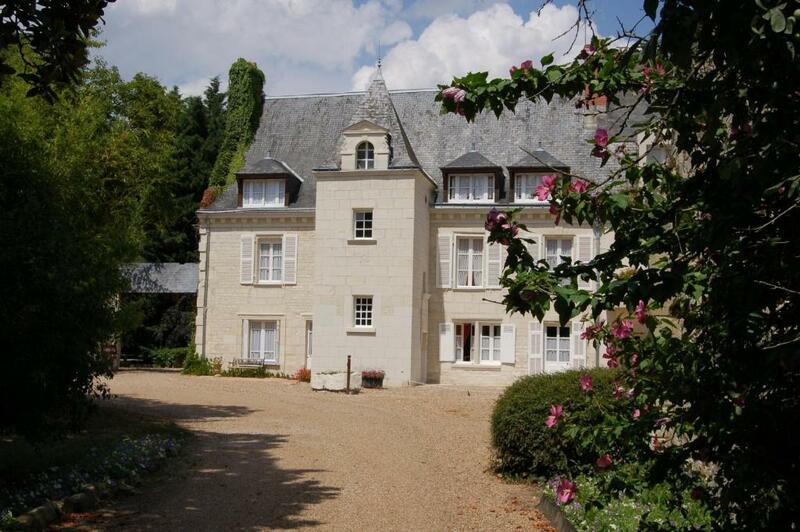 Super location in very interesting old chateau. 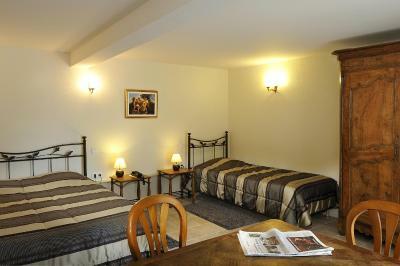 Huge bed and large room. 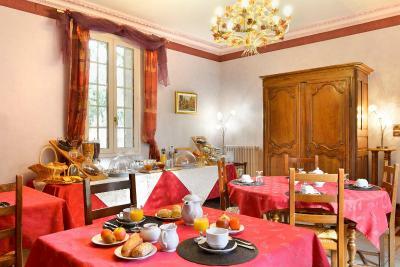 The best breakfast I've ever had in France and good value too. 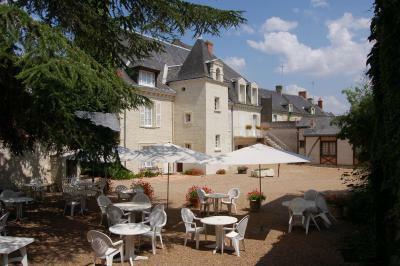 The grounds are extensive and you can wander at will, also the country side is peaceful with a walk you the river. The coffee wasn't good at all. Would be good if they could make a good coffee to complete the good breakfast. Good price quality ratio. Breakfast with a good choices.